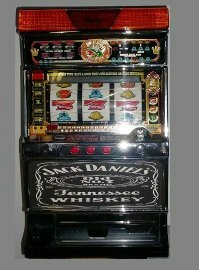 This is a Jack Daniels pachislo slot machine. I am selling it for 240.00 I will ship it within the united states for 69.00 through FedEx. I will also allow someone to come pick it up. This machine is in great condition, it is very clean and all parts are in optimal working condition. Call for more info.